French oak adds style and class to this magical grape. A contemporary and deliciously mouth-filling experience of white pear, quince and green pineapple interlaced with a spicy complexity. Perfect with mild Thai curries or grilled chicken. Named after Louis Albert Péringuey, the 19th Century Inspector-General of Vineyards in the Cape, who led the fight against phylloxera and supervised the importation of American rootstocks onto which the various vineyard varieties were grafted. Gary and Kathy Jordan have been making world-class wines since 1993 on a farm with a history going back over 300 years. He’s a geologist, she’s an economist – together this husband and wife team is a phenomenon. Gary’s parents, Ted and Sheelagh, bought the now 164 hectare Stellenbosch property in 1982, and embarked on an extensive replanting programme, specializing in classic varieties suited to the different soils and slopes. 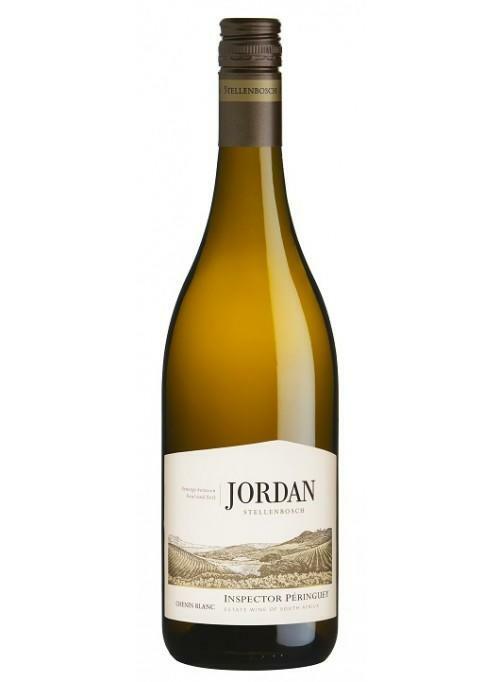 The following year, the vines were judged ready for making wines that would carry the Jordan name. From that first year it was obvious that a new star had been added to the winemaking firmament. Continuing success has enlarged the team, with the focus on producing fiercely individual wines that combine the fruity accessibility of the New World with the classic elegance of the old.